Ambrosia and Iron: Hello and welcome! This is such a beautiful card - and indeed perfect for the welcome-theme. Love your colouring! Fabulous CAS scrapling, such a cute image coloured beautifully. Such a shame the greys are encroaching into your area our red squirrels are so beautiful and do need protecting. Love this! 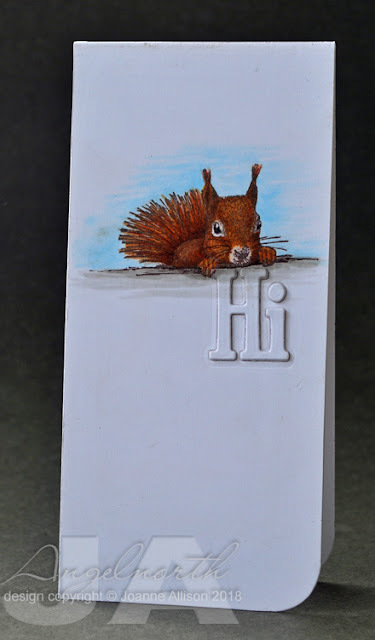 The red squirrel is so darned cute, isn't he? The only time I saw one was when visiting Vindolanda and I could hardly contain my excitement!